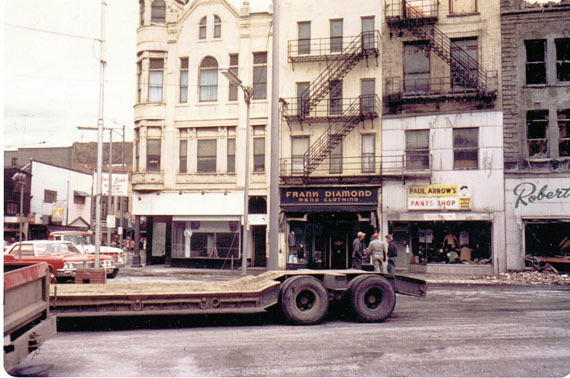 The "Diamond" again suffered a major blaze March 3rd, 1968. This fire, one of the worst in the city's history,. . . The fire broke out on the second floor of the four story Siff Shoe Store Building. 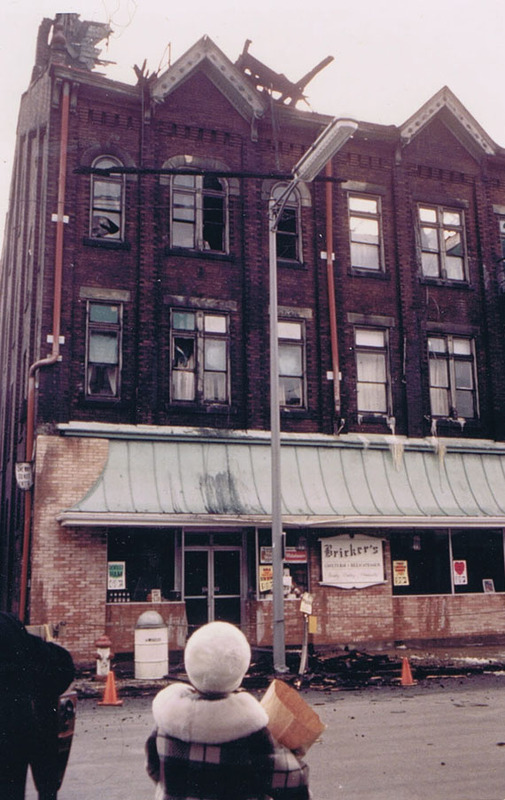 The building was located on Market St. at Diamond Alley. The fire quickly reached the roof and quickly spread across the rooftops of the adjoining buildings. The flames traveled all the way to Crook Alley before being stopped. 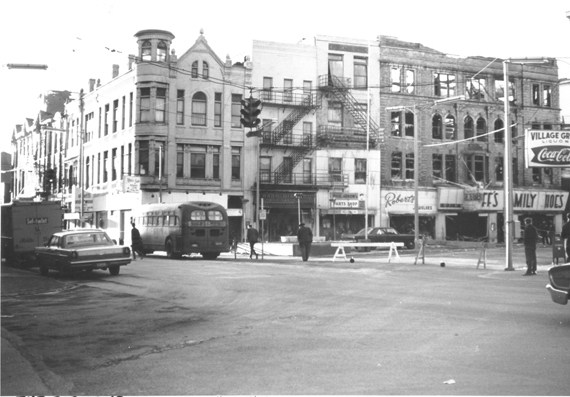 The Siff Building was a total loss and had to be razed. . . 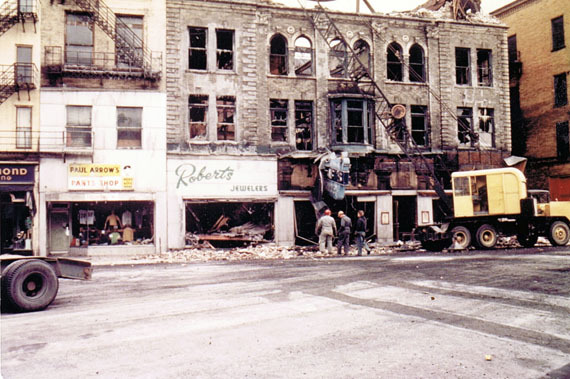 The other buildings received lesser amounts of damage. 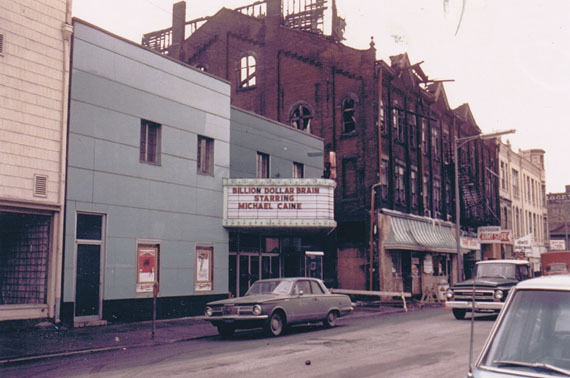 The Opera Building on E. Sixth St. had the top two floors removed after the fire. 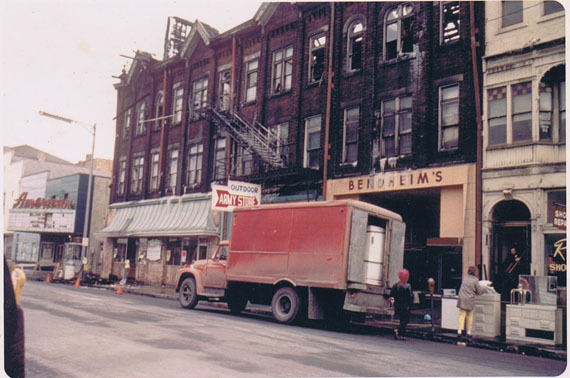 This building was occupied by Isaly's restaurant, the Outdoor Army Store and Bendhiem Shoes. . .
Siff Shore Store, fire started there. When you view the entire quarter block it is amazing that the Thompson Building wasn't damaged or if it was it was only minor. Beginning to remove top two floors from Grand Opera Building.